Seattle’s overelaborate restaurant formulations are getting out of hand. But one of San Francisco’s latest — with a Pacific Northwest “concept” — takes the proverbial cake. 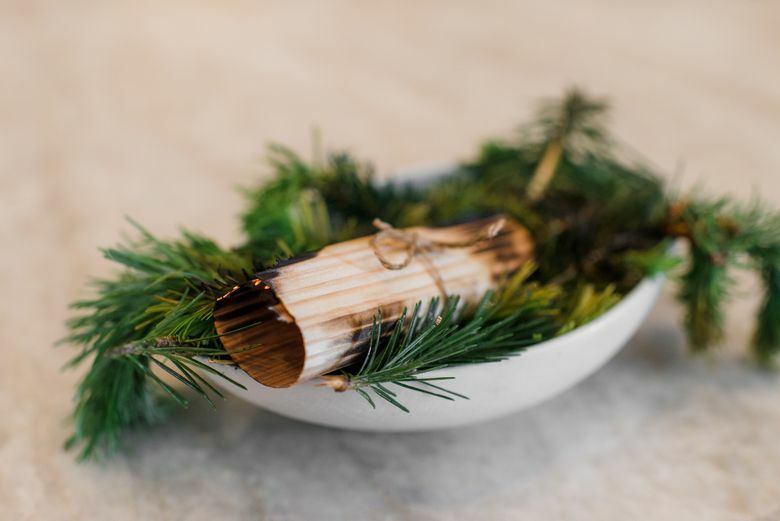 With 27 new openings coming at a time in Seattle (yes, really), a restaurant can’t just be a restaurant anymore — it’s now a “concept,” with a provenance, a philosophy and a “fresh” angle (or three) to differentiate it from the conceptually crowded field. Coherence is not at a premium here. How about a “produce-driven concept” operating “at the highest level of detail and imagination,” including “the area’s sense of place and evolution,” with a menu “packed” with small, large and “shareable plates,” “all telling a story of inspiration and purpose”? The décor of this one reflects “vernacular ideas of a house seen through a refined and primitive interpretation” — whatever that means — while its bar is “framed as a cocktail experience steeped in discovery,” with both “lively, communal” and “provocative and sophisticated” spaces, “leaving room for spirited conversation.” Presumably, dispirited conversation can also be accommodated. Or a concept that “combines both the classic and modern styles” in order “to create something that is both neighborhood-focused and designed to fit Seattle’s growing on-the-go lifestyle”? Different parts of this place’s bar have “been designed to reflect the aspects of our evolving society; revolutionaries, rebels, poets and humanitarians alike.” Get that humanitarian a drink! Complicating matters, the restaurant’s downstairs space is conceptually distinct — the Chronicle describes it as “pulled straight from a ‘Game of Thrones’ episode,” quoting Bleidorn as saying it’s for the people “just interested in meat and potatoes.” Why have one concept when two will do? What would a Seattle restaurant with a San Francisco concept look like? Some might say that with our tech boom’s shiny new buildings, skyrocketing rents and civic struggles over income inequality, Seattle itself is now a San Francisco concept. Maybe this is what the evolution of authenticity looks like.